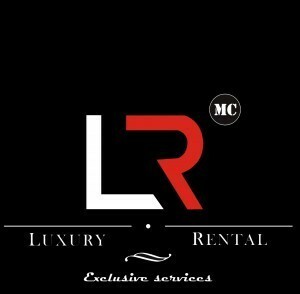 For this new winter season 2018-2019, MC Luxury Rental will be again present to offer you its services in all the luxury ski resorts of Europe, in order to provide you with the best vehicles that the Today’s automotive market produces with a wide range of luxury SUVs, vans and 4WD sedans. Hire an exceptional vehicle at MC Luxury Rental to visit the most luxurious palaces as well as many Michelin-starred restaurants and prestige shops that make up your favorite winter sports resorts. Do not hesitate to contact us to book your rental car now! This one will be delivered to you by our team of professionals of the custom rental. You just have to indicate your place the departure of the hiring, for example with the airports of Chambéry, Lyon, Annecy or Grenoble … or in front of your hotel in Zermatt or of your chalet in Courchevel 1850. We also propose a One-way luxury car rental service, with a return to a different location. Your satisfaction is our priority. A permanence is available 24/24 7/7 to meet all your expectations. Take a ride at the wheel, rent a BMW X5 with a holiday in Gstaad, one of the most luxurious hotels in the famous Swiss village. Available for rent at MC Luxury Rental in 5 or 7-seater version, the BMW X5 xDrive will allow you to welcome aboard, family and friends. Whether your break lasts for a week-end, a week or all winter, the emotion will be there when you discover the snowy scenery of this posh resort comfortably installed in the seats of the imposing BMW X5 xDrive. You’ll feel safe in this majestic, state-of-the-art SUV. For convenience, we offer delivery of 4WD to Bern Airport, Saanen or any other place of your choice. Do not miss the appointment in the ski area of ​​the 4 valleys that won the “Switzerland’s Best Ski Resort”, the resort of Verbier. To get there, you can rent a 4×4 created by the German car manufacturer Audi, official partner of the Verbier station. You will select from our fleet of rental vehicles (convertible, saloon, SUV or 4×4): Audi A5 Quattro cabriolet, Audi Q5, Audi Q7, Audi RS6 Quattro … Our team is at your disposal to deliver the vehicle as soon as you arrive in a private jet at the airport of Geneva, Zurich or Sion. After your flight, you will avoid the endless waiting behind car rental counters or waiting for a taxi. Our delivery driver will be on site with the sedan or SUV you have booked. The prestige vehicle will be ready to face the snow and will not wait for you, you will only have to sign your contract. It will take you much less time, for even more pleasure. Better still, keep your usual standing to go to the most mundane event of the year, the Snow Polo World Cup in St. Moritz at the wheel of the prestigious Land Rover Range Rover, whether it’s the Vogue model or the Sport model. For the most daring, let yourself be tempted by the SVR or Supercharged version. Rent a 4×4 sports in St Moritz in all circumstances, in off-road mode the sound of the engine will rock you in this snowy scenery. Set yourself among the greatest fortunes in the landscape with this sumptuous Land Rover during your stay at the finest winter sports resort on Earth, St Moritz. Symbol of pure luxury, this resort has no equal in terms of prestige. To give you the ultimate luxury cocoon after a sleigh ride at the Lech ski resort in Austria, treat yourself to the pleasure of renting a Bentley Bentayga or the all-new Rolls Royce Cullinan SUV. At the height of all your expectations, you will have nothing to envy to the jet set when you are aboard one of these car wonders. This Austrian resort is one of the most exceptional luxury resorts. A real place of rest and serenity. Aboard the audacious Rolls Royce Cullinan 4×4, you’ll find yourself in this very select winter resort. The spirit of ecstasy upon your arrival at Innsbruck airport. You will drive in the chic village of Lech Zurs to go to local restaurants and discover the exceptional gastronomy. 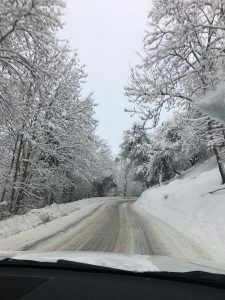 Do not miss the opportunity to hire the vehicle of your wishes to perfect your stay in your French or Swiss winter sports resort. Nothing better than the new Mercedes-Benz fighter, the G-Class 2018 to discover the valleys of the Alps, rent a 4×4 in the resort of Chamonix-Mont Blanc! This imposing 4 × 4 will be ideal to access and move daily on the ski area of ​​Haute-Savoie. For even more sensations during your walks in the ski resort of Chamonix-Mont Blanc select the sports version presented at the Geneva Motor Show 2018, the timeless Mercedes-Benz G63 class AMG. Differently, more sportingly still, opt for the rental of the new Ferrari Portofino supercar during your stay in Courchevel 1850. To your surprise, this new Ferrari cabriolet (worthy heir to the Ferrari California T) will be in perfect harmony with your activities winter. Thanks to its 4 real seats and its trunk that supports two cabin suitcases, its ski hatch and its snow tires, this sports car will seduce you for a weekend in the snow with more adrenaline adrenaline. Novices or regulars for your ski trip in your luxury ski area of ​​the 3 Valleys: Méribel, opt for the rental of a luxury van such as the Mercedes-Benz V-Class extra long 4 Matic (formerly Mercedes-Benz Viano) or the Volkswagen Caravelle. These luxury vans will offer you a beautiful space and will allow you to accommodate all your luggage and the necessary equipment for your walks in this idyllic setting with breathtaking views, accompanied by your family or friends. 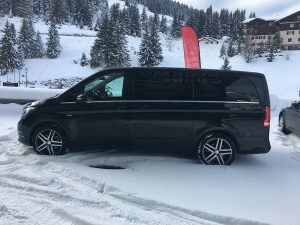 The Mercedes-Benz V-Class 4 Matic luxury van (4WD version) will delight you when you transfer between your eternally charming chalet or your luxury hotel to this delicious restaurant, your favorite shop or at the foot of your ski slope. For more availability during your trips, let yourself be driven by your private driver. Keep your usual comfort in the heart of the Mont Blanc massif in the resort of Megève. Book a Mercedes S Class 4 Matic sedan. The famous town of Haute-Savoie is known worldwide for its authentic charm. To take full advantage, leave the wheel to your private driver who will be happy to make you travel to your hotel SPA & spring without a hitch. Installed at the rear of a BMW 7 Series xDrive, luxury sedan, you can relax after a busy afternoon, where you’ll have nothing to do but let you drive. After your day skiing in Megeve enjoy a warm and relaxing evening enjoying a gourmet dinner prepared by a Chef Etoile, or between friends to celebrate your holiday as it should without concern after a few glasses of champagne, your private driver will be essential on board this limousine. As every year since the creation of our prestigious car rental agency, we equip our 4×4 cars with “winter” tires for your safety. Mandatory in some countries bordering France such as Italy or Germany, rent a car with snow tires will be a great help during winter time. To make sure you do not miss anything during your mountain holidays, it is obvious that you must have a rental car throughout your stay. For this reason, our team based in Monte Carlo, Principality of Monaco, travels to the mountains at world-renowned ski resorts in France, Switzerland and Italy. Always looking to satisfy or customers we are listening to any request and we will be happy to answer your questions. We make tailor-made quotes tailored to your needs.